The kittens will have to be hand-reared by the RSPCA until they are old enough to be rehomed, which is typically around 10 weeks old. Nurses at a Northampton vet practice had to spring into action to give life-saving treatment when a member of the public brought them a particularly cute caseload. Staff at Spinney Lodge Vets came to the rescue after three tiny orphaned kittens were taken into the surgery, hand-feeding the day-old animals until the RSPCA were able to collect them. Its safe to say they were some of the smallest and cutest patients we have cared for." 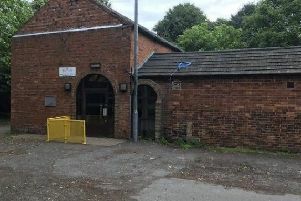 Laura Fletcher, practice manager at Spinney Lodge, based in Kettering Road, said: “I think their mother was sadly killed in some sort of machinery accident but the three kittens were rescued by a member of public and brought into us. “Our nursing team hand fed them with a bottle as they could only have been a few days old. Their eyes were still closed and there were remnants of the umbilical cord. May is also Vet Nurse Awareness Month, a national campaign aimed at spreading the word about the importance of the role of the veterinary nurse in practice and the provision of responsible pet care to the public. Spinney Lodge has a team of 19 vet nurses. To find out more information about Spinney Lodge Vets, visit their website.